Donors are tested regularly for different STD, genetic diseases and chromosomal abnormalities through sperm banks. They also gain all medical history of the donor, which includes health information of both immediate and extended family members for the past 3 generations. 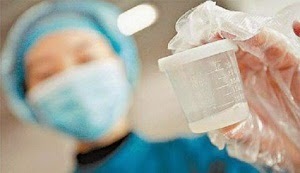 Additionally, to maximize the safety in using sperm during artificial insemination, the sperm is generally frozen or quarantined for a few months before being sold. In the US, donors are able to anonymously donate their sperm, which by industry is viewed as a necessary way to maintain the adequate number of donors. Many countries, however, like Australia and the UK requires identity disclosure, and therefore, are lacking in a sufficient supply of donors. Today, many sperm banks give the option for "known" or "identified" donors where the donor's identity is made available so when the child turns 18, they can seek information on them or arrange a meeting even. Only a few sperm banks in the United States have actually submitted voluntarily to the binding AATBs or American Association of Tissue Banks accreditation process. Although there are those sperm banks that claim to meet these guidelines, this does not necessarily mean they went through the actual routine inspections and accreditation process. When choosing a sperm bank, ensure first they have been inspected and accredited by the AATB. Choose a sperm bank that has a few years under its belt at minimum. Although you will find newer ones, if you have infertile problems that are more serious, you might want to work with a sperm bank with more experience. Look for positive reviews and how many previous clients they have served. This will show you the sperm bank is thinking about you and the success of your insemination. It also shows the quality and effectiveness of the sperm donated. Sperm banks of higher quality are extremely selective with who they select as a donor for their program. Contrary to what people think and what media portrays, the qualification process is extensive and quite detailed. It is a very personal decision when it comes to selecting a sperm donor and can be based on many factors. If you work with a sperm bank that provides a large range of donors, it will help you with your selection process. Selecting the sperm bank you want to work with should not be an overnight decision, or on your first visit, visit different places and evaluate your options. Discuss your options with your partner and interview various places. Tess Young has been a freelance writer for over 3 years and has experience writing about fertility and sperm donation topics. To learn more about sperm donors and insemination, she recommends visiting California Cryobank.